2016 was a pretty grim year for many, so let’s hope 2017 is an improvement. In times of darkness, both environmentally and politically, seeking solace in music is never an unwise move. I hope you find something in the list below to soothe, excite or inspire. One of my favourite albums of 2016 was MJ Guider’s debut ‘Precious Systems’, a sublimely dreamy album of ambient bleeps, synths and guitar. Fact magazine described it as “glacial” and “one of the year’s best albums” and I couldn’t agree more. I hear the ghosts of My Bloody Valentine and Fever Ray throughout this record, and it’s a glorious, glorious thing. Abra’s perfect 2015 track ‘Roses’ can be found on the album of the same name. 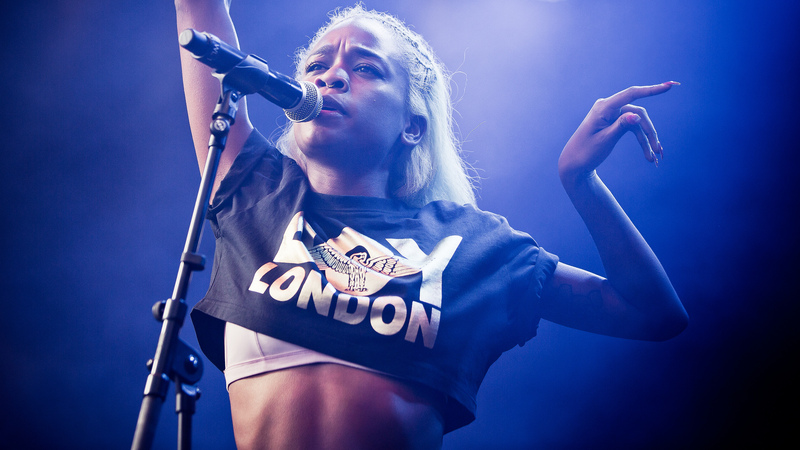 Echoing comments previously made by FKA twiggs, Abra states, “When you’re black, everyone says you’re an R&B artist. I mean, yes, I pooled from it, but you don’t have to be put in that box.” Describing her music as “alternative pop or freestyle house”, Abra’s 2016 album, ‘PRINCESS’ has also been released to critical acclaim. Read Fatma Wardy’s great piece exploring the limitations and problems with the ‘alternative R&B genre’ here. Despite losing 50% of the band back in 2014 (original drummer and vocalist, Shona McVicar left due to the gruelling touring schedule and was promptly replaced by Cat Myers], Scottish duo Honeyblood are ploughing ahead as if the 1990s never happened. Vocalist and songwriter, Stina Tweeddale, cites The Breeders and PJ Harvey as her musical inspiration and you can definitely hear the former throughout their music. Punk, with a lower-case ‘p’, indie-pop, there’s nothing not to like about this band. Read more about their latest album, ‘Babes Never Die’, released in November 2016, here. Patrice Rushen’s classic track ‘Haven’t You Heard’ will forever be associated, in my mind, with the original Channel 4 drama series ‘Queer As Folk’. The track accompanies the scene in the first episode where main characters, Stuart and Nathan, first meet. Despite the series focussing pretty much exclusively on white, cis gay guys, it was groundbreaking when it was released back in 1999 and remains an absolute classic. If you’re looking for a new box set this January, it’s well worth checking out. Click here for your Winter 2017 playlist. The image is of Abra, performing at Slottsfjell festival in 2016. The image is an upper-body shot of Abra, performing onstage, singing into a mic with her arms raised above her head. She is surrounded by blue smoke or lights and wears and a Boy London crop top. Image by NRK P3, shared under a Creative Commons licence.